R.A. RECIPES FOR THE ARTS Multimedia itinerary inspired to Expo2015 and realized by 5th year students of the High School of the Arts within a project by the Education Services of the Museums of the Regole On the occasion of Expo 2015, the Regole d’Ampezzo and the High School of the Arts of Cortina are opening an exhibit strictly connected with the theme of the universal exhibition. Two different itineraries will be showing from May 6th until the 16th on the ground floor of Ciasa de ra Regoles. The first one, Nature, Inspiring Young Artists, tells of five years of photo essaying by students of the High School of the Arts of Cortina d’Ampezzo in collaboration with the Acquamarina Association of Trieste. The second one, R.A. Recipes of the Arts, is the result of a didactic project by the Education Services of the Museums of the Regole, which has lead the 5th year class of the High School of the Arts to create a multimedia narrative entered to the Policultura Expo competition. The exhibit, opening Wednesday May 6th at 5 pm, represents the finish line for these two education experiences that have had the “recipe” as their driving theme, intended as artistic expression as well as creative reinterpretation. Recipes for the arts are the photo experimentations made by students during several theme driven workshops run by photographer Annamaria Castellani between 2010 and 2015. From the OFF Camera to the pinhole, from Polaroid to cyanotype, the young people involved have rediscovered many techniques and tools turning them into original photographs and works. But the recipes from the arts are also those of two individuals defined by their passion for the arts, their availability to receive, and by the letter “R”. 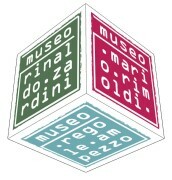 On one side Mario Rimoldi, the collector and hotel operator thanks to whom the Modern Art Museum was founded; on the other side Rachele Padovan, an artist of the traditional Ampezzo cuisine, authentic testimony of the territory. One in his hotel, the other in her kitchen, they have been able to put together some of the minds and artists who most influenced the twentieth century, creating culture in unusual environments and delivering an extremely precious cultural patrimony. The multimedia narration guiding the visitor through music, text and period images while discovering the works being exhibited is dedicated to these two individuals. And, finally, the recipes for the arts are those created by the students of the High School of the Arts based upon traditional recipes of Ampezzo cuisine and shown in the three works of food art in the exhibition are the ingredients for casunziei, knoedel and the barley soup, moving from pan to canvas to satisfy the eyes as well as taste buds. The exhibition will be open from May 6th to the 16th, from 4:30 to 6:30 pm. Closed on Sunday and Monday. Admission is free.